This blog includes information on the Asian Film Series at the University of Wisconsin Milwaukee. The Goal of this series is to expose students and those in the community to a range of Asian films many of which are little known in the US. All screenings are free and open to students and non-student alike. The series is hosted by the Center for International Education, but is not directly connected with the Center or the University and does not necessarily represent the views of either. Living in the harsh world of clan loyalties and martial solutions, a young man must investigate the murder of a close family member by tracking down the traitor who helped to engineer the death. While known in the 1960’s for his Cantonese dialect films dealing with social issues and the challenges of everyday life such as Young, Pregnant and Unmarried (1968,) Director Chor Yuen is at least as famous for his later Mandarin dialect output at the Shaw Brothers studio. 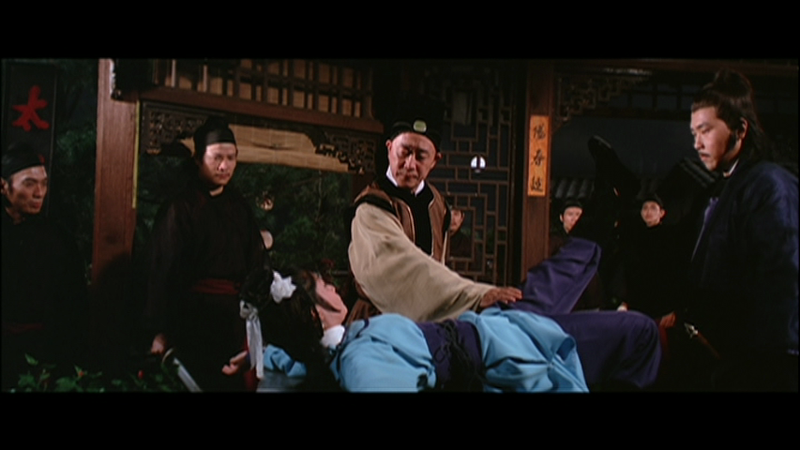 Among this body of work one theme reappears again and again, that is swordplay films based upon the work of the popular writer Gu Long. 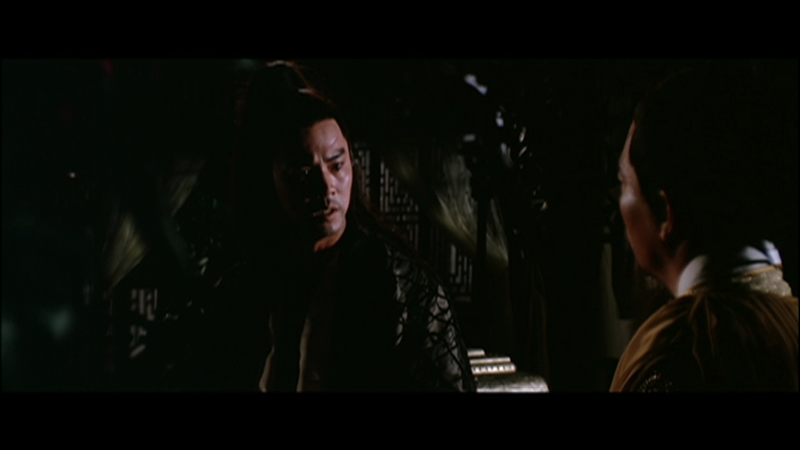 Jade Tiger is the seventh such adaptation but hardly the final as this collaboration would eventually produce more than fifteen films. 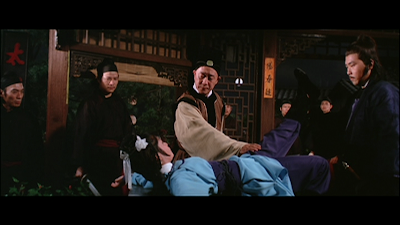 The particular hallmarks of Gu Long’s fiction included a short, punchy style that continually keeps moving the reader along, as well as a love of absurdity and pop cultural conventions from Chinese and international fiction such as trap doors, vast conspiracies, alternate identities and fantastical weapons. A typical Gu Long hero tends to balk at social conventions and cares about brotherhood more than anything. As is typical of the literary swordplay genre, many stories also serve as ancient detective novels, with a mystery at the films center. Jade Tiger faithfully continues nearly all of these themes to one extent or another, but when injected into the studio system of the Shaw Brothers unusual changes begin to appear. The first of these unique traits is the pure artificiality of the films world. That is, most films made by the studio in this era were shot primarily on indoor stages, although they also had an extensive back lot. The world of Gu Long was always a particularly unreal one, with impossible feats and an internal logic alien to the real world. 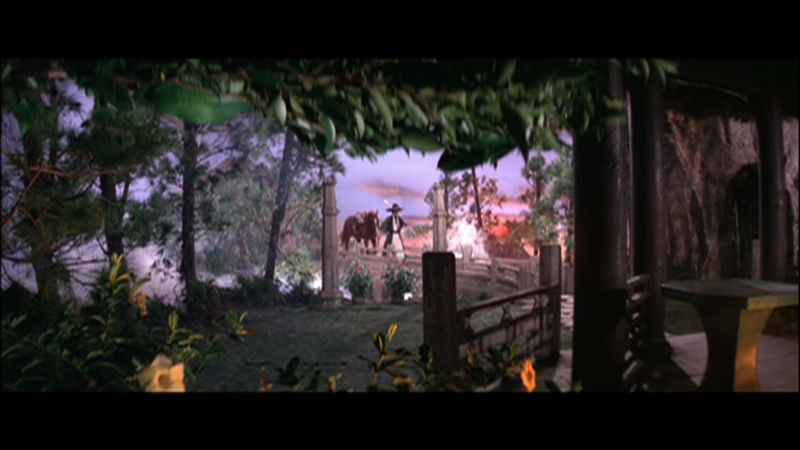 This character interacts with a painted sky, fabricated trees, colored lights and strategic mists to create a similar kind of unreality that is very suitable to its subject matter. Secondly typical way in which a swordplay novel was adapted was to use one or a series of chapters, take out story elements that would tend to leave loose ends and then construct a new ending that frequently clashed with the tone of the original tale. A particularly good example of this is in the Taiwanese film Crouching Tiger, Hidden Dragon (2000). But the novels of Gu Long were usually very short and to the point in terms of a central narrative based around a single character. So little cutting and pasting was every necessary, but at the same time the complex narrative would become almost manic when squeezed into less than two hours of film. But it is this quality that arguably had made these films so popular and unique. Hong Kong, Director Chor Yuen, Cast Ti Lung, Ku Feng, Lily Li, Lo Lieh and Yueh Hua, 90 minutes, in Mandarin with English subtitles. I am a film studies major with an emphases on the history of Hong Kong cinema, Besides film, history is another major area of interest, both of the Eastern and Western world.